The world is now a fairly small place and many of us now have the resources to visit parts of the world we could previously only read about. Prior to this, the armchair traveller was king and from the time the great global discoveries were made by Columbus, Cook, Walter Ralegh, etc, there was an appetite to learn about the exotic far-away places, which only the few could visit. 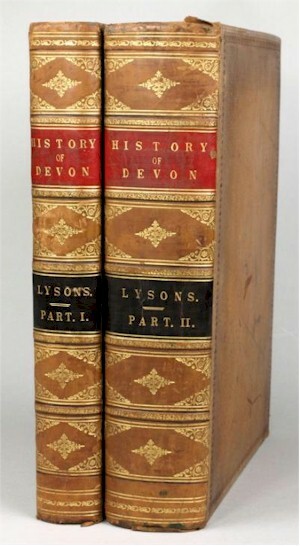 The Sixth Volume of Magna Britannia (History of Devon) by Daniel and Samuel Lysons (BK9/265), published in 1822, realised £180 in the February 2013 Antiquarian Book Sale. Because the British were a leading force in this exploration, there is a great tradition of this type of literature in this country that carried on through to the 19th century, which includes many works exploring our own land. Bearnes Hampton & Littlewood's position as the leading Westcountry auctioneers also means that many works relating to the south west of England, which has been a popular area for tourism for centuries, abound in our auctions. The sale of a copy of Alexander Shaw's Catalogue of Cloth (BK5/334) for £130,000 in March 2011 set a world record for his work. People are often fascinated with the history of their own regions and authors have obliged over the years with many works relating to the geology, social history and landscape of the south west counties of Devon, Cornwall, Somerset and Dorset. 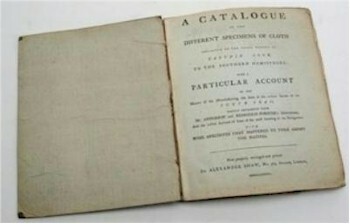 The voyages of Captain Cook were well-recorded in the late 18th century and early editions fetch significant prices. Bearnes Hampton & Littlewood have an association with these voyages, having auctioned artefacts that were collected on them, as well as more recently the Book Department having achieved a world record price (£130,000) for a copy of Alexander Shaw's work including actual samples of Tapa cloth collected on Cook's voyages. During the 19th century, 'Picturesque' series of works were produced with lavish illustrations of all the European tourist highlights and were really the 19th century equivalents of our modern coffee table books. Equally, the Baedeker guide books are keenly collected as a window into the world of the 19th and early 20th century traveller. Polar exploration is a rich source of works and the heroic status accorded the likes of Scott, Shackleton and Nansen ensure that records of their exploits have a devoted following. It is really the romance of these great explorers that captured the imagination of the public at the time of their adventures and continues to fascinate to this day. 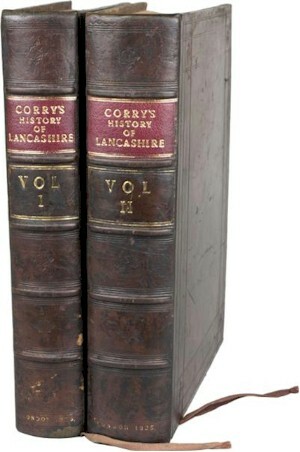 The History of Lancashire by John Corry in two volumes with 35 plates was sold for £230 (BK9/236) and is typical of the books in this category being offered in our Antiquarian Books Auctions. Local history is always a strong element of our Book Sales, and our proximity to Dartmoor alone provides a wide variety of guide books and histories as well as illustrated works. Samuel Rowe's A Perambulation of Dartmoor has been produced in several different editions, including a sought-after 'limited' one, and joins the many works published on this wild and fascinating place as well as the more genteel watering places of the South Coast such as Teignmouth and Torquay. Other classic works include Richard Polwhele's History of Devonshire as well as the Devonshire volume of Daniel and Samuel Lysons' Magna Britannia.